Installer John Branson is a local man whose family lived for a long time on Firswood Road. He still has family members and many friends living within the Parish, although he now hails from Maghull. Recently he virtually-rebuilt a house on Blaguegate Lane and he has made a large wooden shelter for Lathom St James junior school in Westhead which can be seen on the school playing fields.. 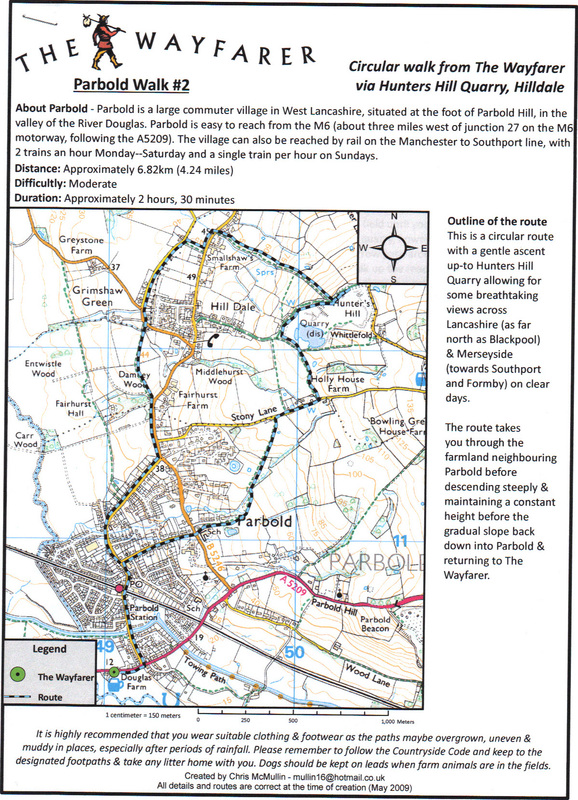 It took considerable time from Parish Councillors and Clerk (Liz Broad) to identify potential sites, design the signs and then find a supplier who could provide high-quality fingerposts to the Parish Council’s signage standards, so progress has been frustratingly slow. These two were supplied by Shelley Signs of Shrewsbury. From reactions that we have already received, it was worth the wait - as they are much admired. 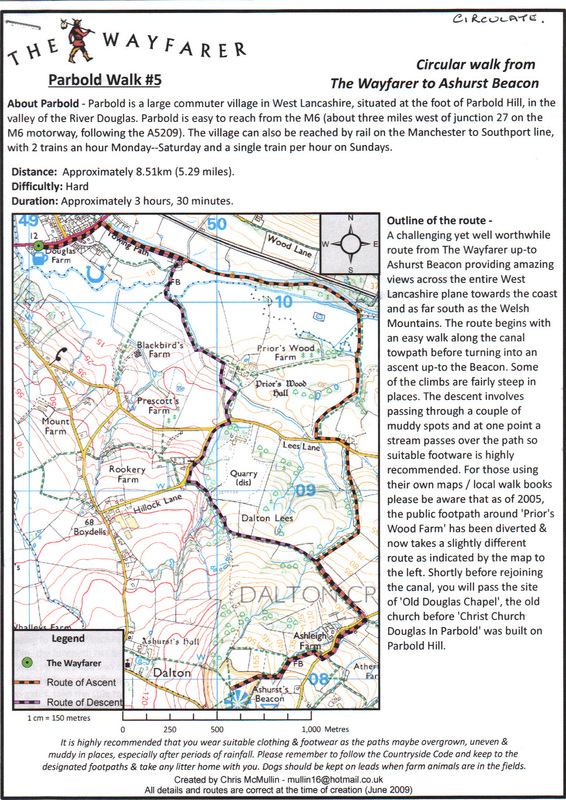 Some of your councillors are keen walkers and we would like to encourage everyone to experience the pleasure of walking in Lathom and further afield. 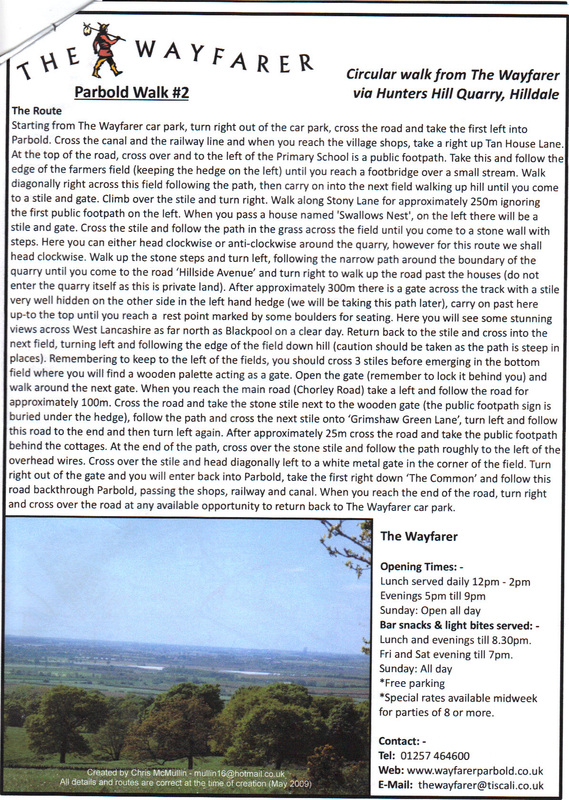 If anyone has a favourite local walk they would like to share please email the clerk using the contact us link at the left hand side. 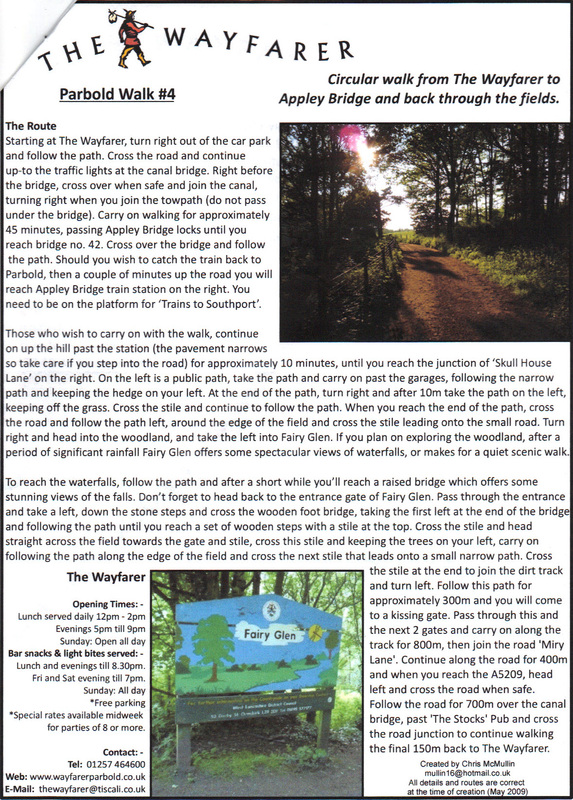 Some local walks are below. 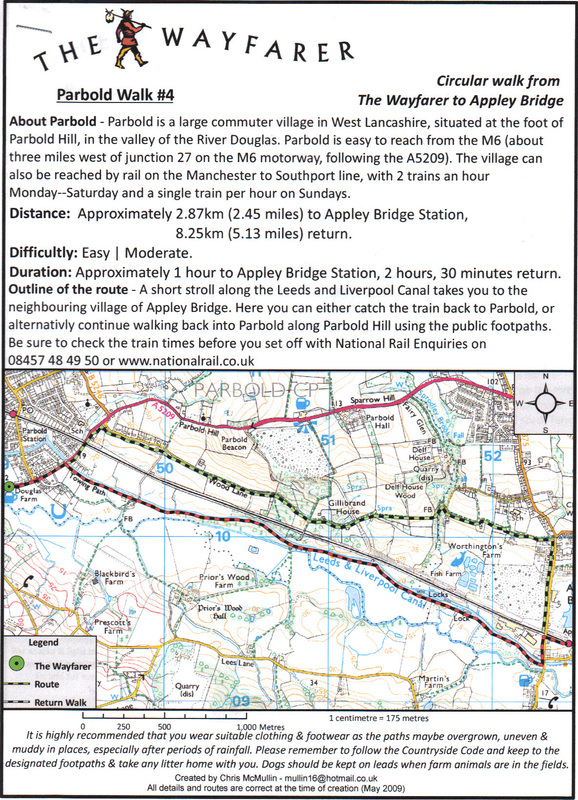 There are many walking groups close to the area to suit all tastes and abilities, including disabled, and details are below. 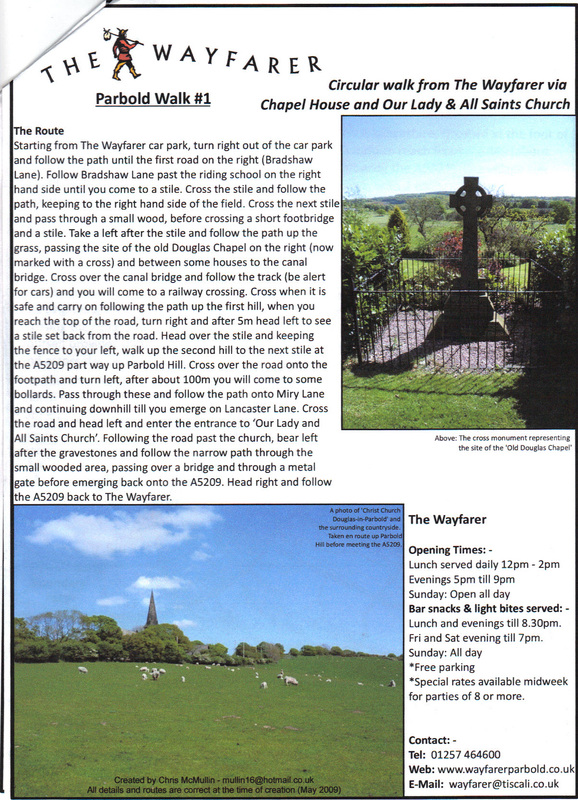 Start/ Finish: Blaguegate Lane, opposite South West Lancs Farmers car park. After a few 100 metres, just past the detached house on the right, take the unsurfaced footpath on the left between the two fields. This footpath then bends left and brings you back onto Blaguegate Lane opposite the Cricket Club. Turn left along the road back to the start point. 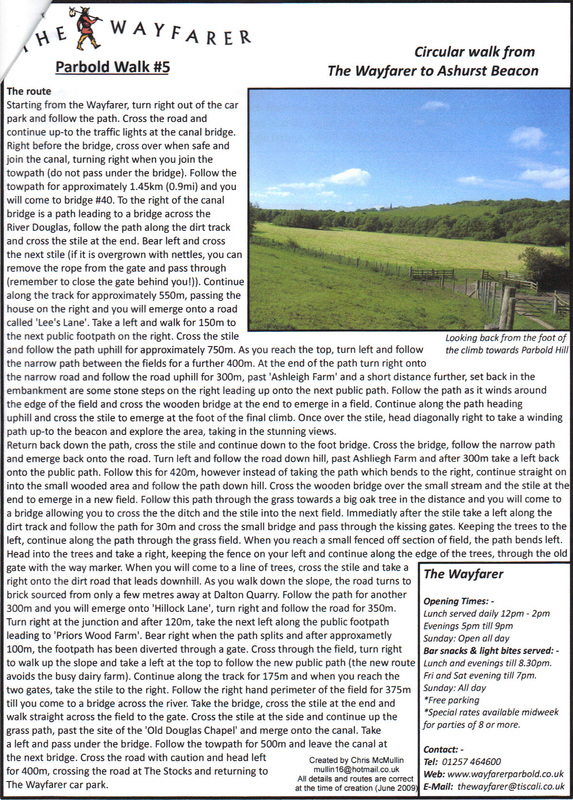 Pass the detached house on your left then past the house on your left and the farm on your right. After a few minutes the path bends right then forks. 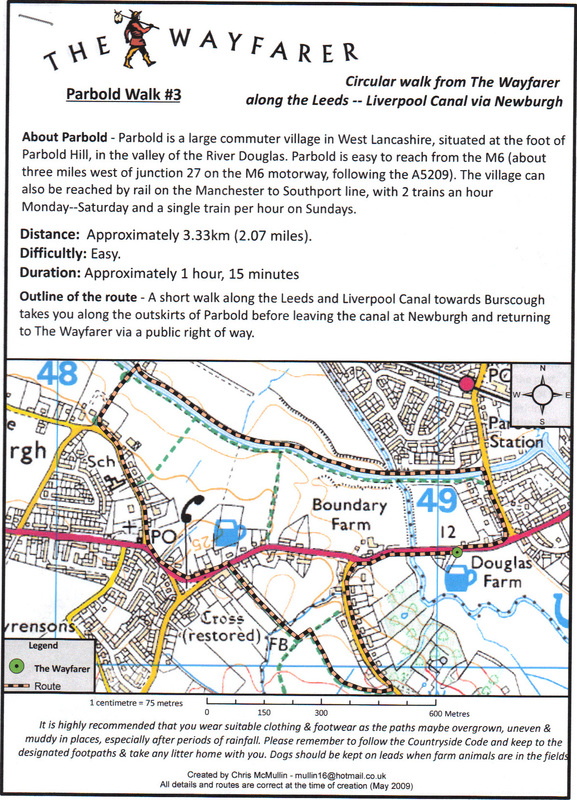 Take the left fork which brings you out onto Liverpool Road, Bickerstaffe. Turn left and walk along the road past the terraced houses until you see the Horseshow pub. Continue along this road (also Liverpool Road) until you get to the church on the left. Turn left up the drive of the church with the cemetery on your left and continue straight on and the drive turns into an unsurfaced path. Continue straight on along the edge of the agricultural field and the along the left hand edge of Blaguegate Playing Fields. Just before the far left hand corner of the Playing Fields there is a cut though on the left which takes you into the next agricultural field and then to the back of the Wardens Club. Come out onto Blaguegate lane and turn left to get back to the start point. Head down Slate Lane to the very end where it turns into an unsurfaced footpath, go through the gate and turn immediately left onto a tarmac path leading to the industrial estate. Here you get a good view of the plots of land that are proposed for the building of more huge warehouses and the existing ones, that have been subject to much discussion and work by South Lathom Residents Association and the Parish Council on behalf of residents that have had problems with them. Walk along the pavement straight up to Spa Lane. Turn left along Spa Lane and at Firswood Road turn left again to get back to the start. 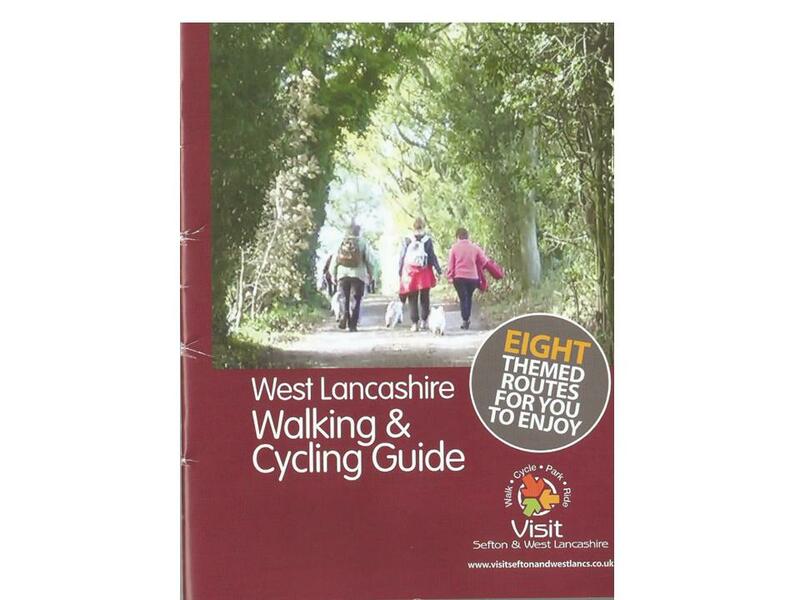 West Lancashire Footpath Group organises up to 5 local walks per month on a Saturday, Sunday or Tuesday afternoon and some summer Wednesday evenings. Please ring 01704 880782 for details. 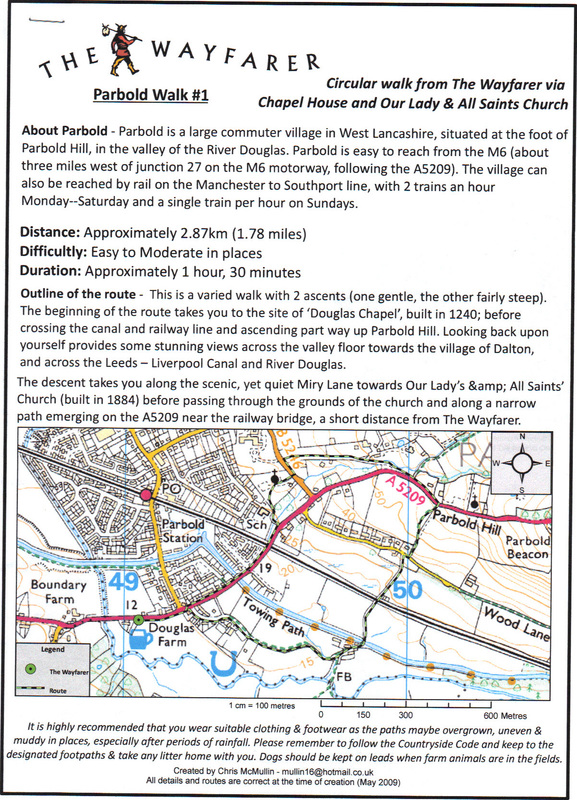 Skelmersdale Churches Rambling Club organises walks every second Saturday in the month. A coach picks up in Ormskirk and Skelmersdale . 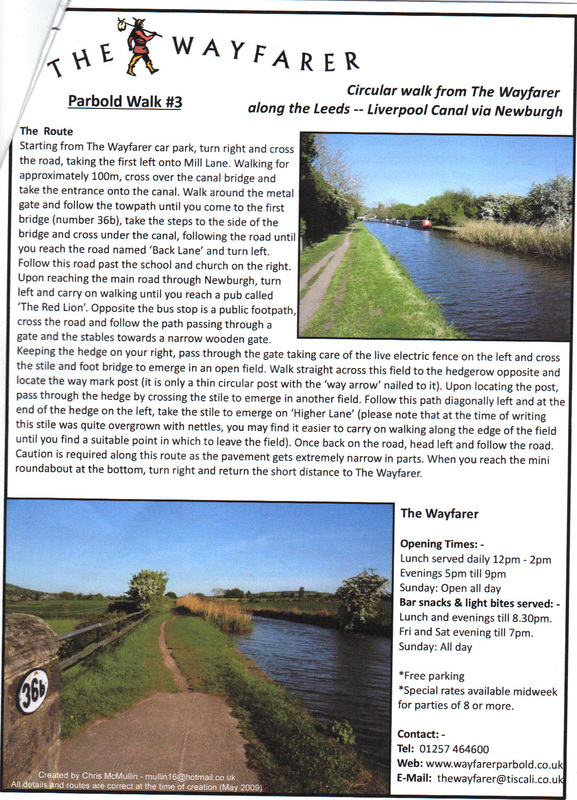 Bookings can be arranged through Yvonne Turton on 01695 578681. Again there are different grades of walks.